marco venturin (Homepage) wrote: Portfolio davvero bello, complimenti! Il mio voto su coolphotoblogs è per il suo lavoro! Saluti! Calin C. (Homepage) wrote: Amazing autumn photo! Great "carpet". The photo is very nice framed and the colors are beautiful. El Kodadi (Homepage) wrote: Les lignes, verticales et horizontales, donnent beaucoup de caractère à cette photo. Rue Du Lavoir (Homepage) wrote: Quelle ambiance! L'atmosphère est presque étrange. Les couleurs et la lumière sont magnifiques. Très beau travail! oldshutterhand (Homepage) wrote: All red with no green. Fascinating! Andrés (Homepage) wrote: I like the soft trees with the clear ground. Marcie (Homepage) wrote: Great eye! Love how you've seen and captured the shadow and light. foto-rolero54 (Homepage) wrote: Excellent photo! RobertB (Homepage) wrote: Your down low perspective and shallow depth of field highlights how extensive and beautiful the leaf cover is. Exquisite. jess (Homepage) wrote: Lovely depth of field. There's such a strange uniformity, as though this path has never been walked. Frida (Homepage) wrote: I like the play between shadows and light. 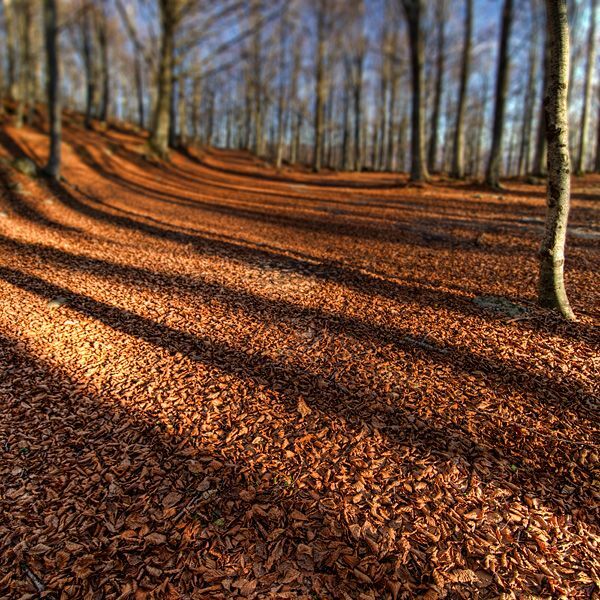 Arnd (Homepage) wrote: Beautiful warm red tones and fascinating capture of shadow and light.